The John Petrucci Primetone® Jazz III Pick is a whole new take on one of our most popular pick designs: the Jazz III. As the man himself describes it, “this pick’s custom bevel is based on the edge of one of my own well-worn picks. It’ll glide off your strings like glass with a loud, bold sound thanks to its super durable Ultex® material. The Jazz III tip provides precision and clarity, while the custom grip ensures ultimate control.” John’s new pick comes in two colors: tried-and-true Black and the new and appropriately badass Oxblood. 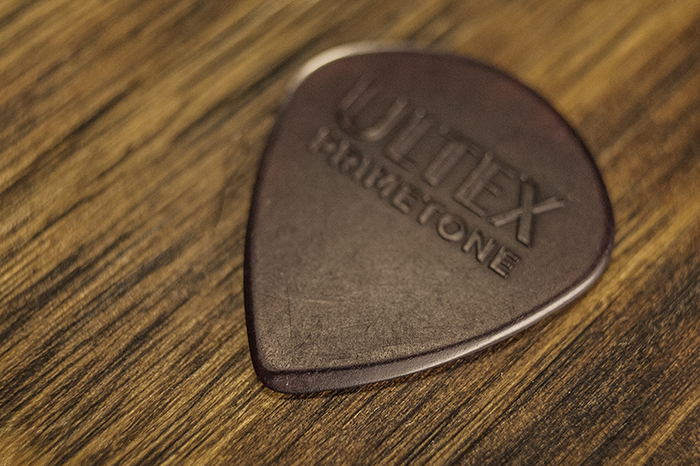 Armed with John’s preferences, we started out by making him a black version of our Ultex Jazz III pick, but John wanted to check out our newly released Primetone Jazz III. Primetone Sculpted Plectra feature bevels sculpted onto the pick’s tip for increased speed and accuracy when playing fast rhythms and solos. We sent him some samples, and he immediately fell in love. But we wanted to take that a step further for John. We asked him to wear out a pick while on tour so that we could copy that natural bevel onto his new pick. This unique bevel is a result of my forward and downward angled picking technique and really adds to an effortless picking experience with no drag felt on the strings. The custom bevel is a bit steeper than that of the standard Primetone Jazz III pick, but the result is even greater speed and precision. Shredders usually hold their pick at a steeper angle in order to reduce drag as much as possible—the steeper the angle, the less drag you experience. But too much angle can trip you up, and it takes years of experience to find the right balance. Thankfully, John did all that work for us. The next issue was the grip. 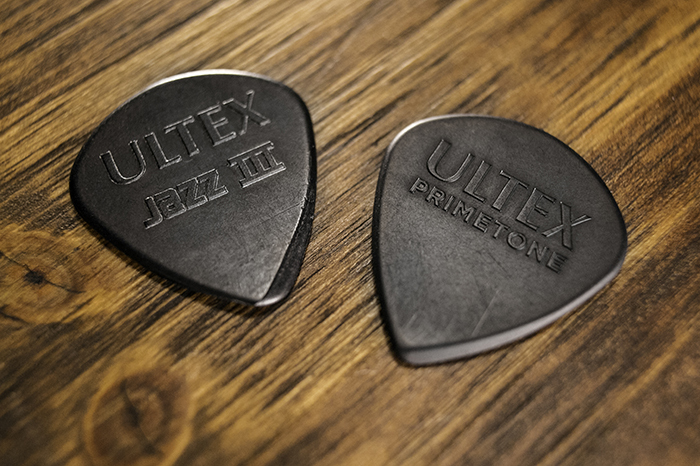 John tried a variety of types, from Max Grip and Primetone to the standard raised lettering found on the Ultex Jazz III picks. After some experimentation, John felt most comfortable with the raised lettering. He feels that it’s the perfect balance between having a solid grip while being able to move the pick around if needed. 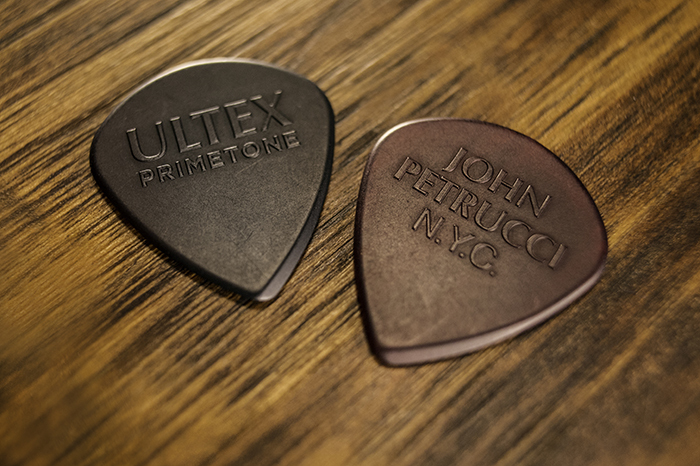 John Petrucci Primetone Jazz III Picks are available now. Go get yourself a pack. Shred on.